Nasty. By now you’ve probably had the displeasure of squishing a stink bug and experiencing that “unique”, shall we say… smell. The brown marmorated stinkbug first invaded Allentown, Pennsylvania in the late 1990′s from Asia. Supposedly they hitched a ride in shipping containers. Since the late 90′s they have slowly made their way south, working their way through Pennsylvania then heading south to Maryland, Washington DC and Virginia and continues to make its way south and west. I’ve even heard that a few have been seen as far north as Connecticut. While these bugs are just pests to us, their real danger is to our agricultural crops. They are killers, attacking our food source with a vengeance. Finally, there is a solution. 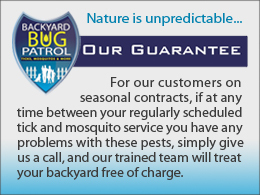 Backyard Bug Patrol offers a 100% organic stink bug control program to eradicate stinkbugs. While we can’t completely rid your home of these pests, we can slow down the invasion. 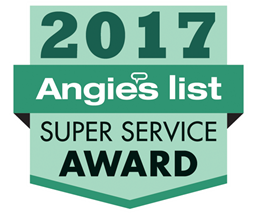 We offer our Simply Organic program and instead of treating your yard our tech will spray your house with our organic solution for an additional fee. 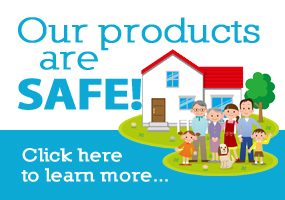 Our Stink Bug Barrier Program mists the outside of your entire house killing and repelling stink bugs. As stink bugs are “large” bugs, it takes a bit longer to kill them. It takes about 24 hours for these smelly pests to expire. Generally we will treat your house 3 times during the fall when the stink bugs are trying to enter your home for winter hibernation. You may see a chalky residue on the outside of your house and on your windows which remains after application. This will wear off within a few weeks and doesn’t stain. Once again, while we can’t completely eradicate these pests, we can certainly slow them down. The stink bug doesn’t bite or sting or swarm around your head; rather they invade your home in untold numbers. Once they get in the house they will clumsily fly around heading for a light fixture. Generally each year there is only one generation of stink bugs but with a warm winter and spring, they actually may have two or three generation adding to the fun. Adults emerge in the early spring then mate and lay eggs throughout the summer. The eggs hatch into small red nymphs and before reaching adult they go through five molting stages. Adults start to look for over-winter sights like your home in September and October. Stink bugs enter your house under the siding, soffits, around window and door frames, chimneys, or any space which has openings big enough for them to fit through. Once inside the house, they hibernate for the winter. In Asia there is a wasp that helps control the stink bugs but we don’t have it here in the US. Stink bugs have no natural predators. Birds and a few other animals are starting to develop a taste for stinkbugs but they have not been able to come close to controlling the stinkbug populations which have exploded over the last few years. The stink in stink bugs comes from its abdomen. If it feels threatened it will emit that foul smell. If you try to handle the stink bug you’ll likely get perfumed. Make sure that any cracks in window and door frames are sealed up. Your best defense against stink bugs is an airtight house. Check the areas around the house where utilities enter the building. In some cases there are cracks around the entry points into your house where the stink bugs can enter. One of the easiest places for them to enter is the attic vent. Sometimes there are tears in the screens. Don’t forget the fireplace chimney. 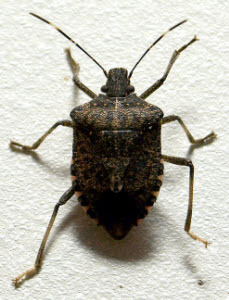 Have your home specially treated for stink bugs! We can help.